On Thursday, September 20, a strong line of thunderstorms raced across southern Minnesota. Shortly before 6:30 p.m., an area of rotation developed and a tornado touched down in Waterville, about 20 miles east of Mankato. The tornado, rated an EF-1 with winds estimated by the National Weather Service between 90-100 MPH, tracked northeast and struck the south and east ends of Camp Omega before dissipating two miles northeast of the camp. 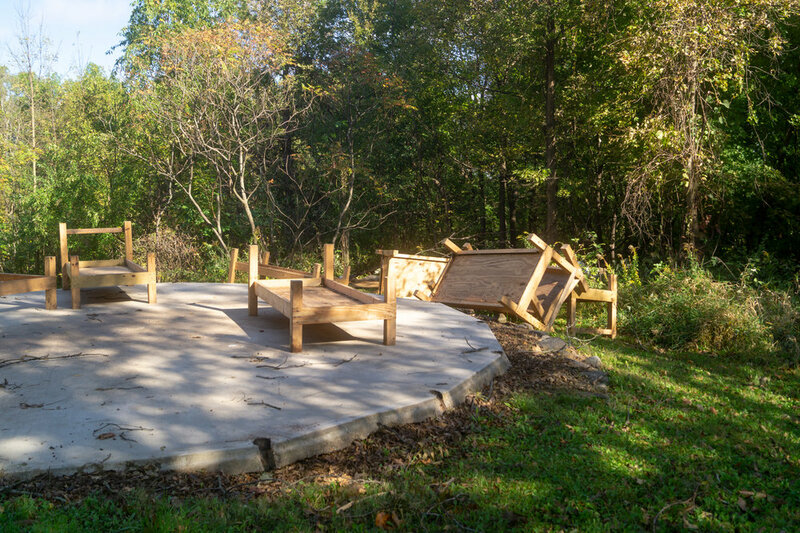 When the farthest reaches of Omega were finally surveyed, one of the tepees and one of the treehouses were found to be seriously damaged or destroyed. 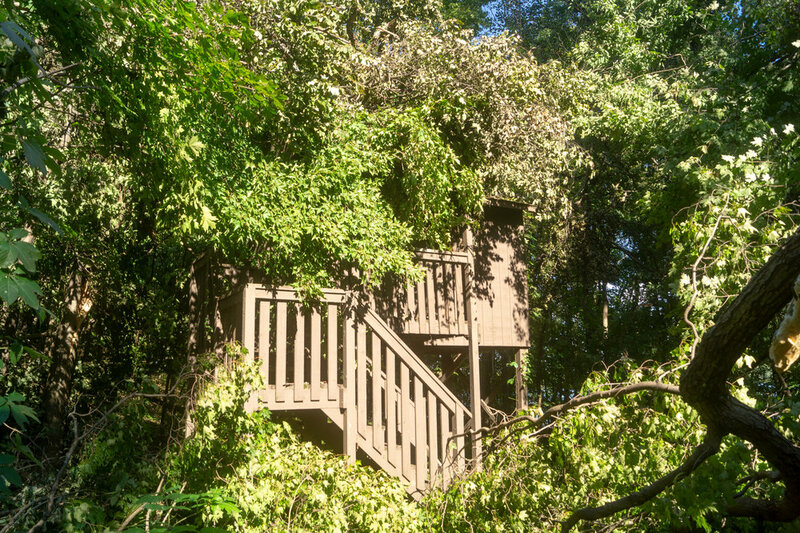 Additionally, the amount of tree damage throughout the camp property was found to be quite serious. 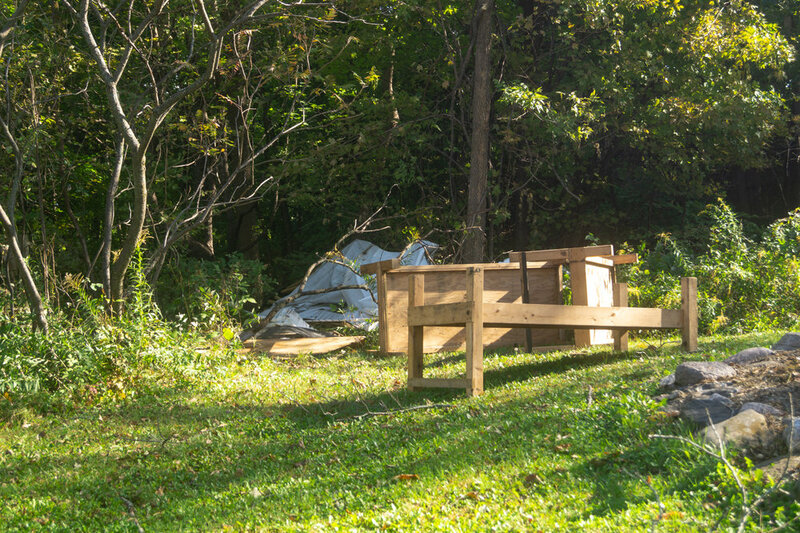 In the wake of the storm damage, the volunteer response has been a blessing to Camp Omega, with numerous schools, churches, and individuals asking how they can help, according to LaCroix. He explained that there will be a continued need for volunteers over the next six to eight months. Volunteers who desire to help clean up Camp Omega are encouraged to contact the camp office at 507-685-4266. This same line of thunderstorms spawned a total of at least sixteen tornadoes, according to the National Weather Service Twin Cities office. However, no other LCMS churches or schools were known to be damaged by the storms at the time of publishing. A map from the National Weather Service showing the tornado track (green line; tornado damage is the green outline). Camp Omega is located on the southeast side of Horseshoe Lake, shown in the upper right on the map.